Cold Blooded Murder, Crushes, And Out Of Control Fires - Rock Shows That Went Tragically Wrong! The horrific events that took place in Paris in November 2015 aside (which is still very much under investigation) some rock shows are grimly etched into history due to the tragic events that unfolded around them. ​As grim a read as this may be, if we are supposed to learn from history, consider this a lesson in keeping yourselves and each other safe. The Monsters of Rock festival at Donington Park in 1988 - two fans lost their lives in a crush during Guns 'N' Roses' set. The weather that day was grey and rain had turned the park into a muddy mess. The stage was also at the bottom of a slope which made the footing even more unsteady. It is estimated there was over 90,000 people present that day – the largest crowd the festival had seen. The LA rockers were the third band on that afternoon, and as they launched into “It’s So Easy”, thousands of fans rushed to the front of the stage to catch a glimpse of the hottest, new band doing their thing. Despite the band genuinely doing their best to calm the situation, stopping their performance and asking the audience to “not kill each other”, two fans were crushed to death in the rush, and another was seriously injured. The two fans who died had been crushed face down into the mud so deeply that the crew had “dig underneath them” with their hands to move them. They were both declared dead upon arrival at a local hospital. The video below gives a feel from the crowd's perspective of the chaos and indeed tragedy that was unfolding. The following year, what would have been the park’s tenth anniversary show was cancelled while safety procedures were reviewed. 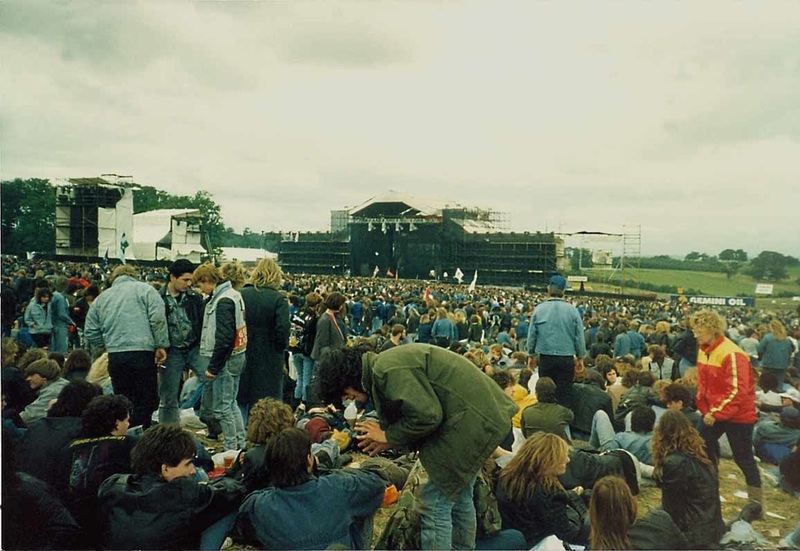 The festival returned in 1990 – the stage now relocated so that it was not sat at the bottom of a slope, and the amount of tickets available for the show was reduced. Another outdoor festival that ended in tragedy almost twenty years earlier, was when the Rolling Stones organised a live free festival at Altamont, with them being the headline act. What was billed as “Woodstock West” was eventually seen as one of the darkest days in Rock n Roll history and almost signified the end of the love and care free decade that was the 1960s. A show that was supposed to shine with the spirit of peace, ended in bad feeling and the brutal killing of a drug crazed young man. Tempers edged ever closer to boiling point throughout the day. 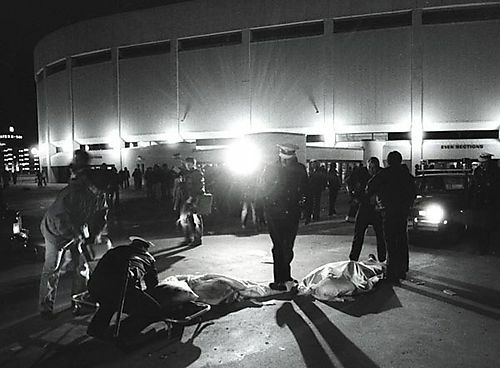 Many fans felt the force of the security that day, with The Grateful Dead refusing to perform due to the violence they had witnessed from backstage, which included a Hell’s Angel knocking the lead singer of Jefferson Airplane unconscious during their performance. ​By the time The Rolling Stones took to the stage, who at the time were pretty much the biggest band on the planet, the situation was close to being out of control. As the British rockers launched into “Under My Thumb”, a young man in a lime green suit, Meredith Hunter, attempted to get on to the stage. He was hit in the face by a Hell’s Angel sending him back into the crowd. The next time he appeared from the crowd he had a double barrel shotgun in his hand. Anticipating Hunter was going to fire at the security, another Hell’s Angel quickly closed in on the young man, stabbing him several times and taking him to the ground. Witnesses stated that he was then kicked and beaten continually by security. By the time medics arrived, he was pronounced dead. Although it is often overlooked or even glossed over that Hunter was in fact aiming a gun at the stage, the level of violence throughout the day, as well as that used on Hunter himself was questionable to say the least. When The Who played Riverfront Stadium in Cincinnati on 3rd December 1979 a decade later, a total of twenty-five police officers were left in charge of an 18,000 strong crowd. Disaster unfolded and had completed its work before The Who had even struck a distorted power chord. The show had been scheduled to start at 8pm, but would-be concert goers had been gathering outside Riverfront Stadium since noon and by late afternoon there were thousands of fans, all jostling for position to rush into the stadium and take up their positions in front of the stage. The show’s promoters were asked by the police to open the gates early in order for the already rampant crowd to be ushered into Riverfront calmly, but they were informed there was not enough ticket-takers inside the stadium to count in the crowd. At around 7:20 that evening, the events began to take a grim turn. A forward surge of the crowd shattered a set of glass doors, which led to others being forced open. The police were not prepared for the sudden onslaught of people and it took almost fifteen minutes to restore any kind of order. By the time they did so and began to control the crowd, the first discovery of an eventual eleven people who had been crushed to death in the mayhem was made. ​Officials were fearful of the crowd’s reaction should they decide to cancel the performance, so it was decided to go on with the show, and perhaps more importantly for those making the decisions, the band were not told of the events until after their performance. What makes the deaths of one-hundred people on 20th February 2003 at The Station nightclub shortly after Great White took to the stage, was that the whole thing could have easily have been prevented. Around ninety seconds into Great White’s set, pyrotechnics set off by their tour manager, Daniel Michael Biechele – something he did not have a permit to do – ignited flammable soundproofing foam that had been set up around the stage and in the venue walls and roof, which was in violation of the state’s fire code. This was ultimately the responsibility of brothers, Jeffrey and Michael Derderian, who owned The Station club. For their part in the disaster, Biechele and Michael Derderian would both receive custodial sentences. What made matters even worse was that two of the four fire exits were chained shut with bouncers initially refusing to open them, which created what become a fatal bottleneck at the front of the building. As the flames licked and rolled their way through the club, the heated glass bottles began to explode sending a rain of sharp, heated glass over an already panicked and desperate crowd. On top of the one-hundred who would perish, over two-hundred more were injured. Among the dead was guitarist, Ty Longley, whose death is perhaps even more senseless as he had originally escaped the nightclub via a side-door near the stage with the rest of the band and then went back into the building to retrieve his guitar. ​The video below is originally from LiveLeak, and although disturbing to watch (although not graphic), shows exactly how quickly events unfolded – what started as a bog-standard badly shot bootleg became a scene from a disaster movie in seconds, and only minutes later the whole building was engulfed. A similar incident occurred only eighteen months later, when on 30th December 2004 more than 4,000 people jammed into the Cromagnon Republic club in Buenos Aires, Argentina. They were there to see Argentinian rock band, Callejeros. The only problem was, the club’s capacity was only for 1,500 people. The night would end in disaster. Sometime during the performance, a fan let off a flare which ignited the foam ceiling – something which essentially had been installed due to cost and was against safety regulations. The blaze spread quickly and due to the fire doors of the club being locked on the outside, which resulted in more panic and a bottleneck at the entrances. Further, it was discovered later that the club was not fitted with fire extinguishers which could have contained the blaze earlier. ​One-hundred and ninety-four people lost their lives in the tragedy. A little over four years later, the owner of the nightclub received a jail term of twenty years for his involvement in the tragedy. A policeman and three fire officials also received lengthy jail terms, while the bands manager and a senior police officer were sentenced to eighteen years in jail for bribery. The band themselves were also charged with involuntary manslaughter for among other things inciting the crowd to let off flares in the first place. They were found not guilty, but two years later in 2011, their not guilty verdicts were overturned on appeal and all were jailed for their part in the tragedy. More recently, as rock band, Chevelle, were ripping through their set on 22nd May 2015 at the Aragon Ballroom in Chicago, former college football player and promising coach, Kyle Kirchhoff and two of his friends were on a second floor balcony. Although it is not clear how or why, the three friends wondered off through an open door that led them to a catwalk, from where they could watch the show. After a few minutes, the other two realised that Kirchhoff was no longer with them. They scanned the area for him and located him around 6 feet below them. 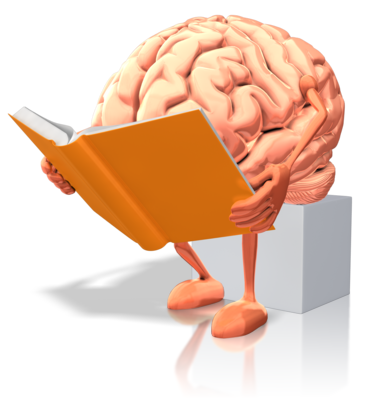 He appeared to be impaled through the chest by two metal rods that were protruding upwards. The band went on to send their condolences to the family and friends of Kirchhoff and promised to return to Chicago to play again soon. 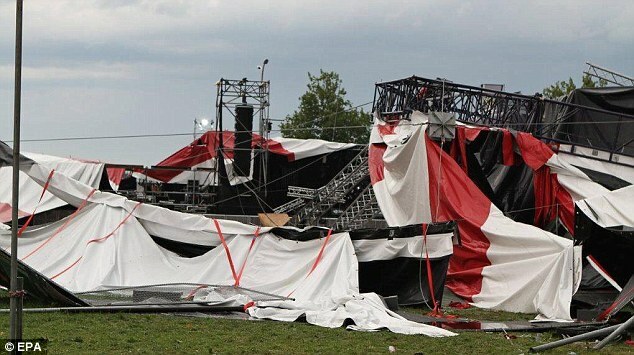 The Pukkelpop Festival in Belgium was hit by tragedy two years in a row in 2010 and 2011. Heavy thunderstorms and gale force winds blew trees into the stage causing it to collapse in 2011. The damage was extensive, with rigging and even giant television screens crashing to the ground as festival goers sought shelter from the elements as well as the deadly objects being sent randomly through the air. By the time it was over and the damage was assessed, five people had lost their lives. The previous year the Pukkelpop festival was also marred with tragedy, when two performers died on consecutive days. On the first night of the festival, sound engineer, Michael Been, former vocalist with The Call and father of bass player with Black Rebel Motorcycle Club, Robert Been, died after suffering a fatal heart-attack following a sound-check of the band’s equipment. The following day, Charles Haddon of British group, Ou Est Le Swimming Pool, leapt to his death following his band’s performance at the festival. After leaving the stage, the singer climbed up a telecommunications pole that was positioned behind the main stage. He then flung himself from the pole into the car park below. He died shortly after. ​It is believed that Haddon had been upset that he had apparently injured a fan in the crowd while stage-diving. Although the girl was stretchered away (she made a full recovery), the sight was said to have deeply affected him by crew members. "Dimebag" Darrell Abbott doing what he did best. Outside the venue where Abbott was killed shortly after Damageplan took the stage. 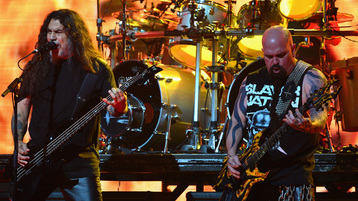 Perhaps one of the most unsettling events of recent times, and certainly a huge tragedy in the heavy metal world, took place in Columbus, Ohio when Damageplan and one-time Pantera guitarist, “Dimebag” Darrell Abbott was murdered on stage shortly after beginning the live show. Following the break-up of Pantera in the early 2000s, “Dimebag” Darrell Abbott and Vinnie Paul Abbott, the group’s guitarist and drummer respectively, formed the band, Damageplan – a band who were musically very similar to Pantera. 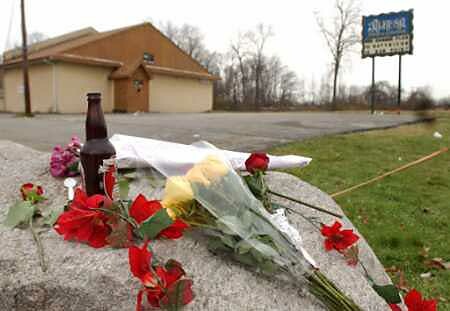 At the Alrosa Villa nightclub on 8th December 2004, just ninety seconds into the opening song of their set, twenty-five year old, Nathan Gale – who had jumped a six foot fence and entered the club through a side door – walked on stage straight up to Darrell and shot him in the forehead. By the time the band, crew and audience realised what was happening, Gale had fired several shots, killing three more people (fan of the band Nathan Bray, road crew member Jeff "Mayhem" Thompson, and club employee Erin Halk) before taking a hostage at the back of the stage and reloading his gun. Officer James Niggemeyer responded to the call that came from the club, and entered the stage from the back, a twelve-gauge Remington shotgun in his grasp. He walked straight towards the amplifiers where Gale stood with his hostage. As Gale raised his gun to his hostage’s head, Niggemeyer fired once at the gunman, killing him instantly. It later emerged in the Columbus Dispatch, that Gale, an ex-marine with a history of mental health problems, had claimed to friends that Pantera had stolen his songs and he was going to sue them. Incidentally, the murder happened exactly twenty-four years to the day, almost to the hour, that John Lennon was killed in New York when he was shot by an estranged fan. The videos below look in a little more detail at Abbott's tragic death and show the events unfold from the house security cameras – again while not particularly graphic is very real.